Interislander - linking New Zealand's North and South Islands. The 92 km journey between Wellington and Picton takes only 3 hours and has been described as "one of the most beautiful ferry rides in the world". 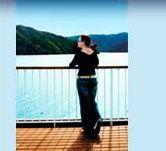 Interislander's 3 vessels give you a wide choice of sailings. Passengers can walk on or take a vehicle. Take a virtual tour here. We look forward to meeting you onboard! This is the official Interislander site, your New Zealand ferry service specialising in inter island travel between the Picton and Wellington ferry terminals. 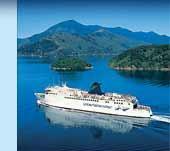 Interislander.co.nz details our cook strait ferries, services, and allows you to book cheap ferry tickets online. Please select from the following sailing options and click continue. You can click on a ship to see the ship's layout or click on a fare to see the Terms and Conditions for that fare. Please note availability is subject to change. Prices displayed represent total costs of each travel leg, including all passengers/vehicles selected. We have found the following specials that may offer you a lower price than the fare you have selected.